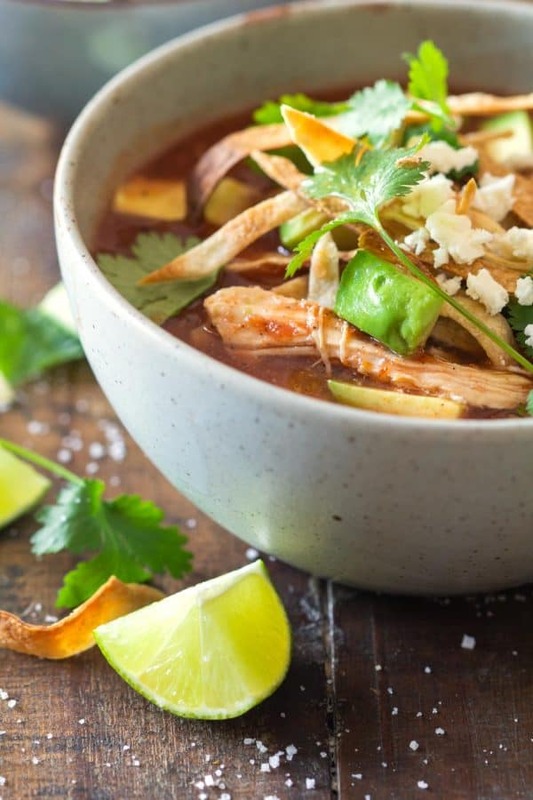 This Crock Pot Chicken Tortilla Soup is beyond easy to make, absolutely delicious and as close as authentic as it can get when not living in Mexico. I love basing my recipes on authentic Mexican recipes. However, my Mexican Quinoa Salad and Mexican Hot Chocolate are some of the most controversial recipes on the blog it seems. People either love the fact that I’m inspired by Mexican Cuisine and incorporate it into my own creations, or they absolutely hate it. Some people believe it is disrespectful to create recipes based on what they call cultural heritage. Please know, that I never create recipes to show disrespect for a culture or cuisine. I love all cultures and cuisines equally and I LOOOVE all the food from the whole world. Me making recipes based on other cultures’ cuisines is just a way of showing you how much I love that cuisine and how I believe it would make a great fit mixed with other cuisines. That’s how all fusions came into existence and fusions are about the most delicious EVER! Green Healthy Cooking is all about diversity and mixing and matching all cuisines and flavors. Oh and I know quinoa isn’t Mexican. 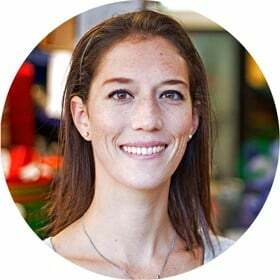 I’m half Peruvian and grew up with quinoa in my baby food. 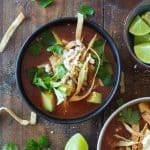 This Crock Pot Chicken Tortilla Soup is based on the Mexican original (if anything can really be called “original), but adapted to Canadian grocery store stocks. Not easy at all to get your hands on all those delicious chilis Mexico has to offer. The Crock Pot is a great tool to make Chicken Tortilla Soup because you can let the broth simmer for hours without having to babysit it. Burn your tomatoes, onions, garlic (and ancho chili if you can find it) a bit in a skillet, to achieve that smoky flavor, and then just blend and pour into the slow cooker. Add chicken broth and your chicken and walk away. Since we are making this soup in the crock pot I honestly don’t feel it’s pretty thick once it’s done. The slow simmering is taking care of making a delicious thick soup. The trick is to not add too much chicken broth but rather keep the tomato to broth ratio about the same. The chicken breasts will release some juices during the cooking process so 4 cups of chicken broth are more than enough for the soup. 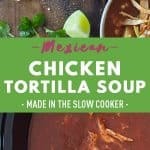 Is this Slow Cooker Chicken Tortilla Soup Healthy? Absolutely! At least in my books! It’s full of protein, made of only clean ingredients and topped with healthy fats. If you miss a bit more vegetables in this recipe add some zucchini to the soup about 1/2 an hour before the cooking time on high is over or 1 hour before the cooking time on low is over. Cut the zucchini into small cubes and let them simmer in the broth until soft but not mushy. 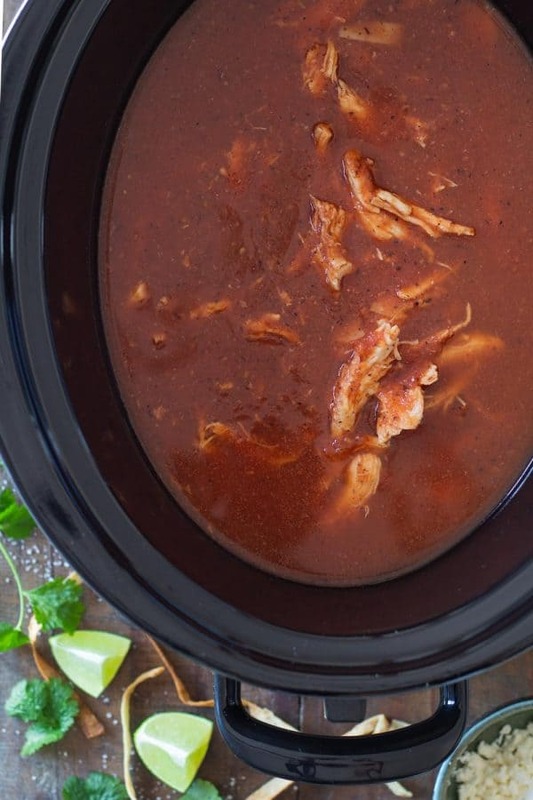 Can This Crock Pot Chicken Tortilla Soup Be Frozen? YES! Simply without the toppings. The crispy tortilla strips become soggy after a couple of minutes in the soup so you don’t want to add all of them to the big batch. Add the strips only to the individual bowls right when you’ll sit down to eat. Same applies to avocado. It becomes yucky if you leave it in the soup for too long. To freeze make sure you freeze the tomato sauce / broth / chicken only. And to defrost simply place the soup in the fridge overnight, then reheat in a pot. Wash and dry tomatoes (if using) and cut in half from the stem down. Peel the onion and cut in half, too leaving the root intact (see video). Peel cloves of garlic and leave as a whole. If using fresh ancho chili, wash, deseed, and devein. Preheat a large skillet over medium heat. Once hot, add tomatoes cut-side down, onions cut side down, garlic and ancho chili (if using) to the dry skillet and let sit until they all start burning (about 2-3 minutes), then flip and let burn on the other side. You might have to work in batches if not everything fits in the pan. Add burnt vegetables to a blender, add can of fire-roasted tomatoes if using instead of fresh tomatoes and blend until super smooth. Add tomato sauce to crock pot, pour 4 cups chicken broth, sea salt, and pepper to taste and ancho chili powder if using instead of fresh ancho chili and stir. Add chicken breasts to crock pot and completely submerge in broth. Place lid on the slow-cooker and set to 3 hours on high or 6 hours on low. About 10 minutes before the soup will be finished, slice corn tortillas in thin strips and add to a bowl. Drizzle corn tortilla strips with avocado oil and sprinkle with a little sea salt and then mix well with your hands until the oil is well distributed. Spread oiled tortilla strips out on a large baking sheet in one layer and put under the broiler for 5-8 minutes stirring every minute or two to avoid from burning. Once nice and crisp, remove from the oven and let cool down completely on the baking sheet. Remove the chicken from the crock pot and place on a cutting board to shred with two forks. Then return the shredded chicken to the crock pot, give it a quick stir and serve. 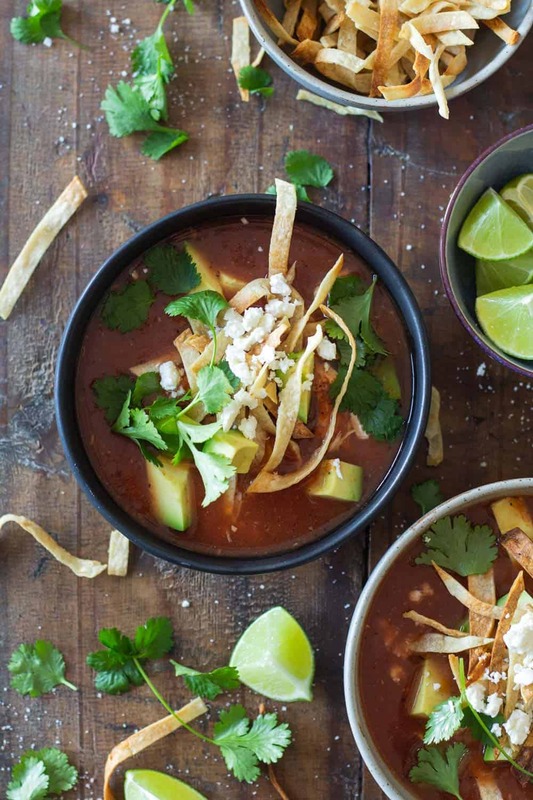 Top your soup with the crispy tortilla strips, fresh cubed avocado, fresh cilantro lives and crumbled up queso fresco and then drizzle with fresh lime juice.